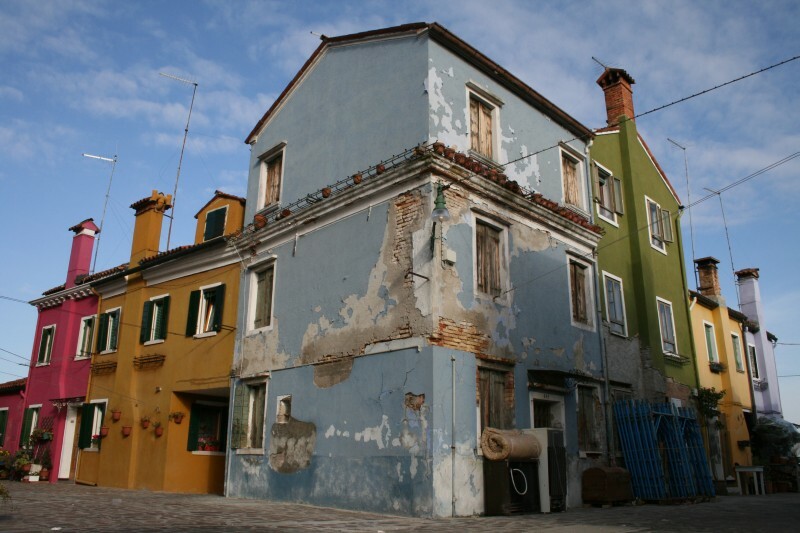 "Later the industry languished so disastrously that when they came to resuscitate it, only one very old lady survived who knew how to make Venetian point: they muffled her in woollies, stuffed her with pills, and gently filched her secrets before she died." 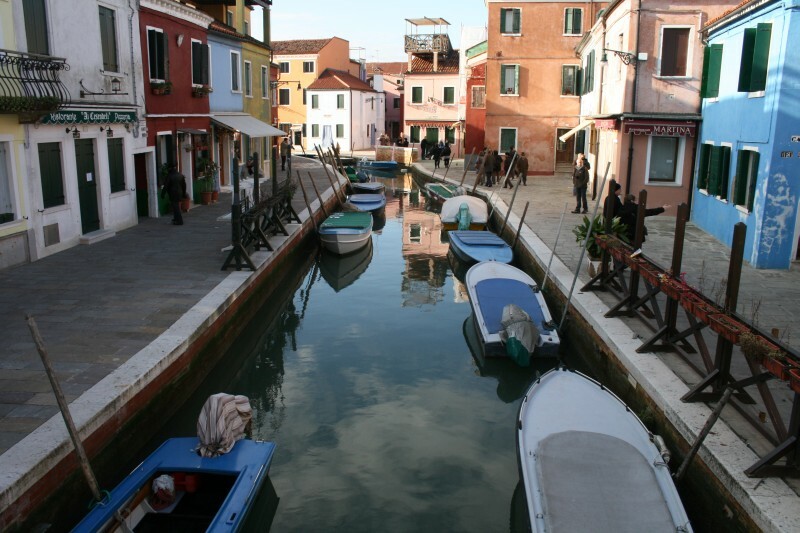 I don't care much about lace, nor about the fish that are caught in a 55 square km open sewer. 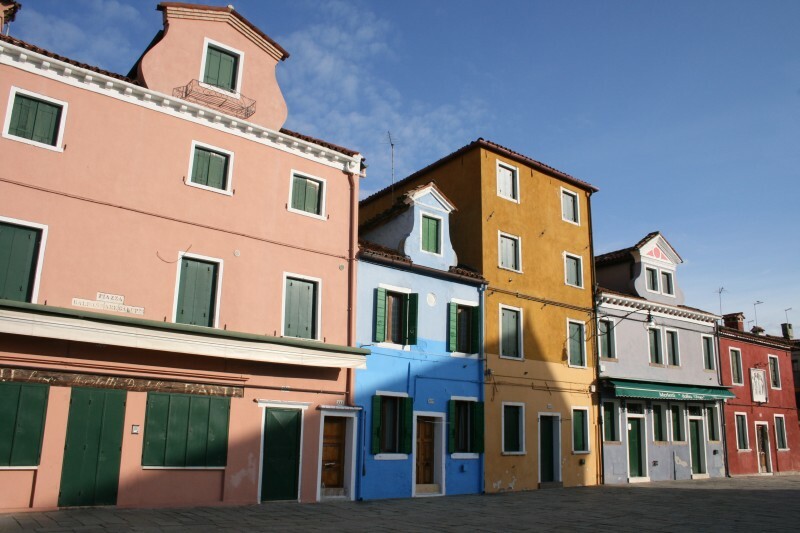 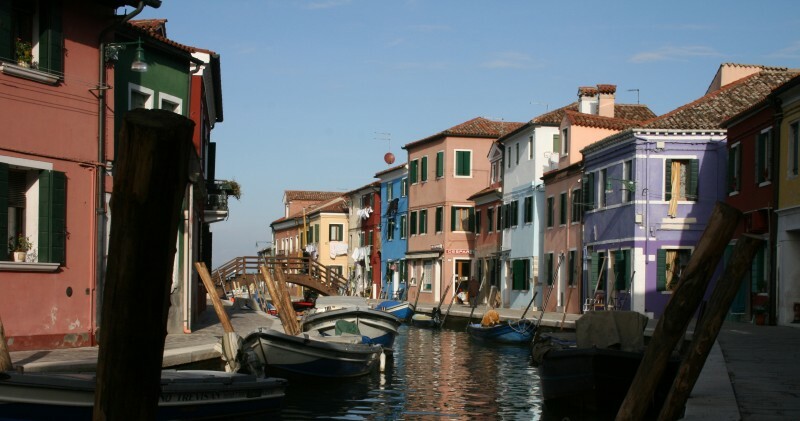 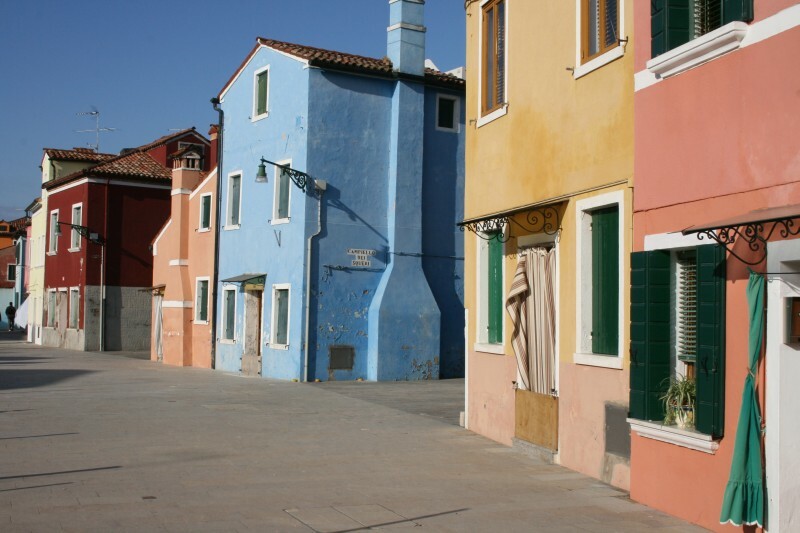 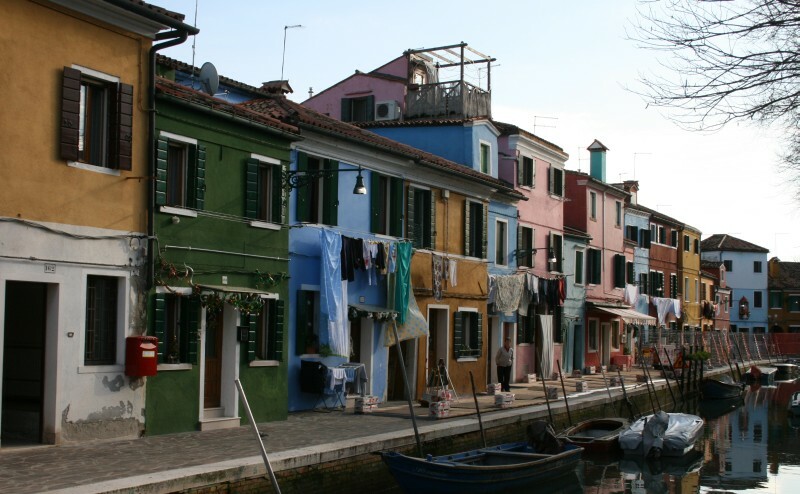 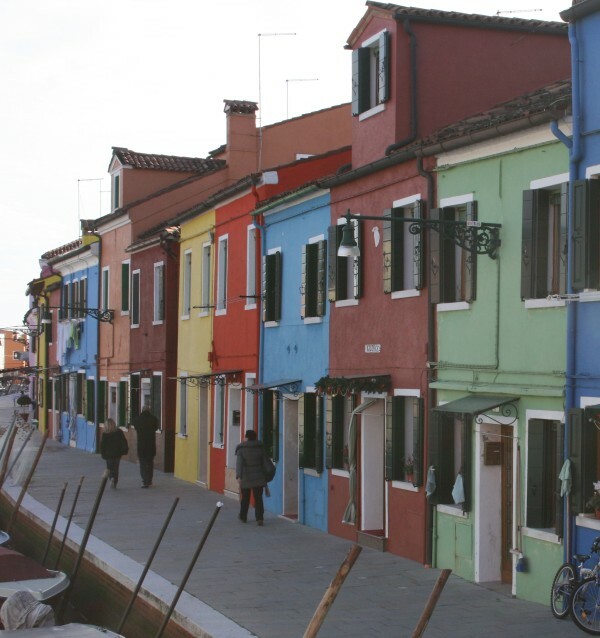 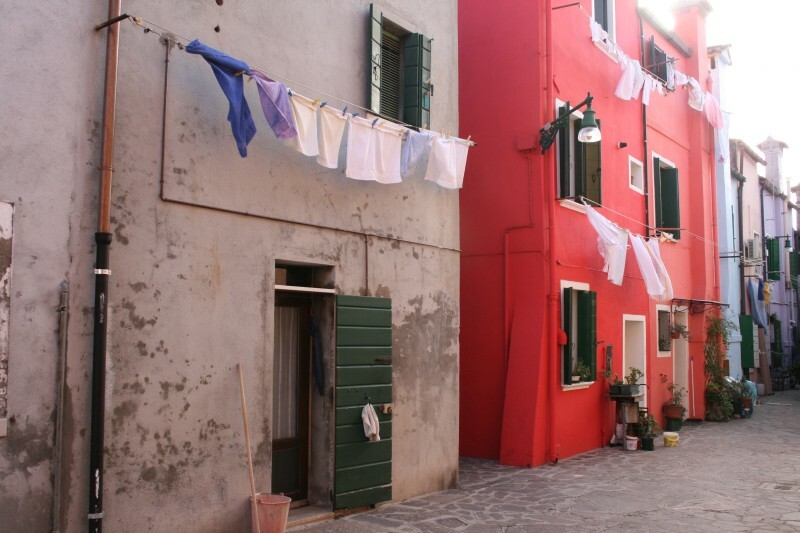 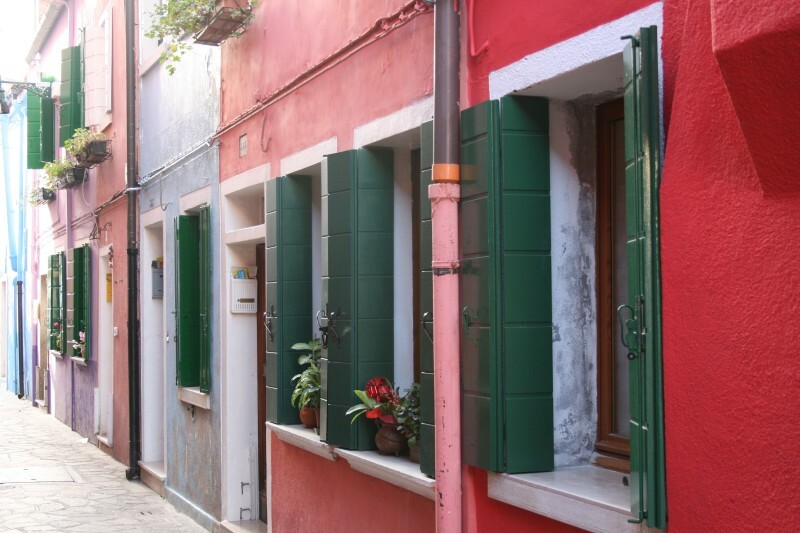 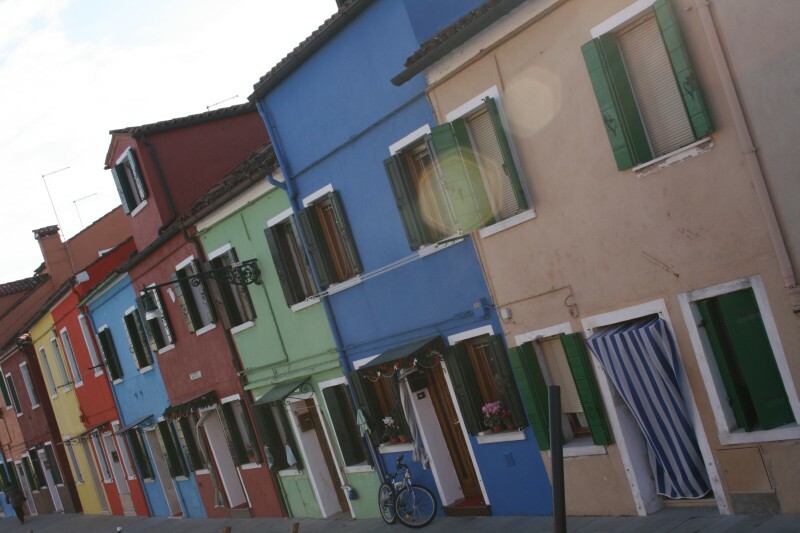 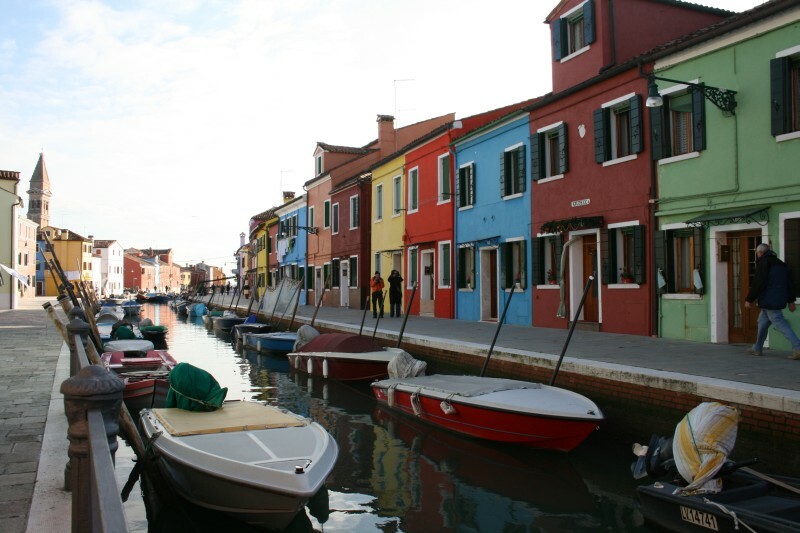 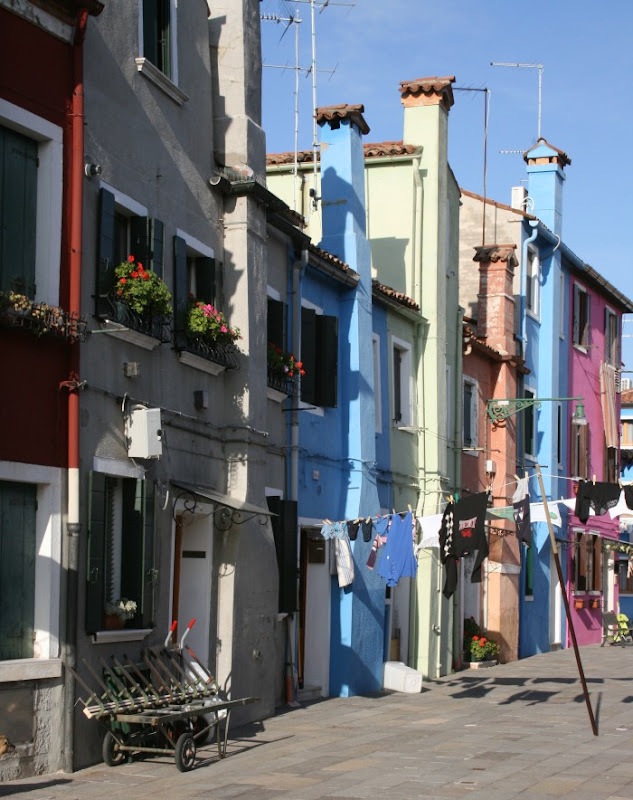 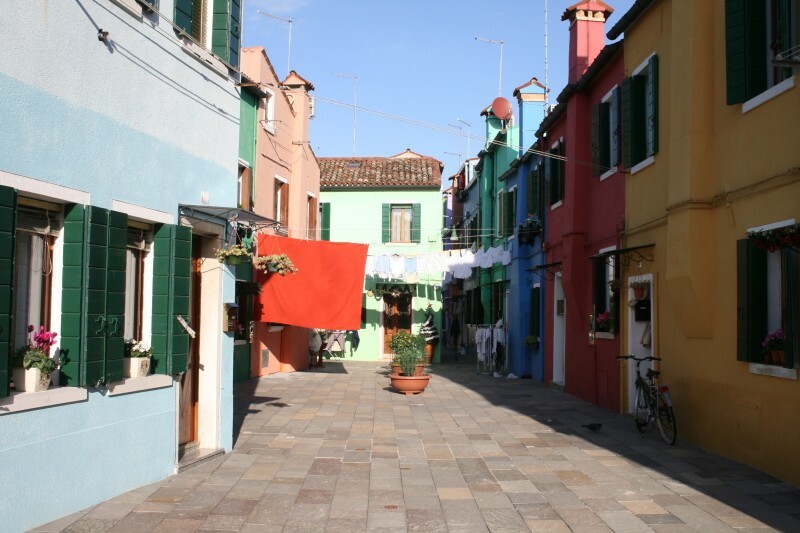 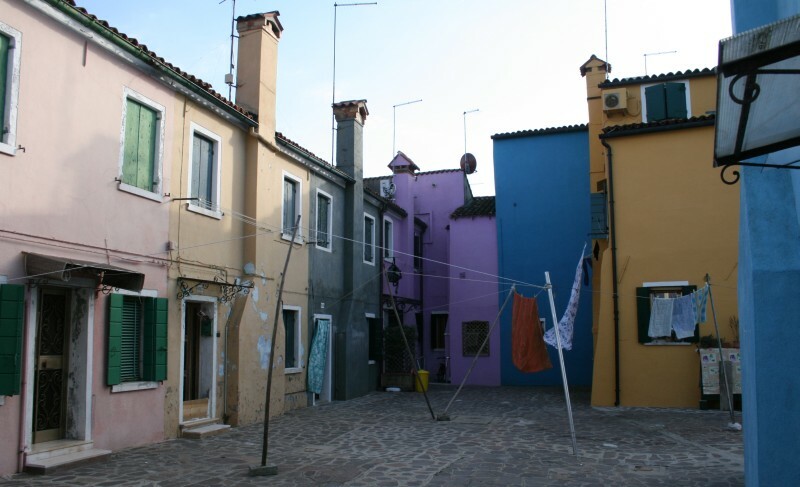 But Burano is also known for its colourful houses. 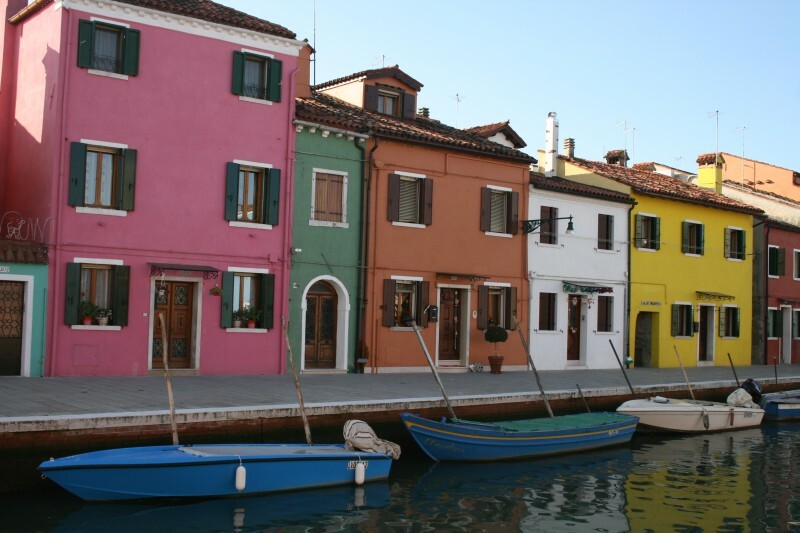 Stunningly pretty. 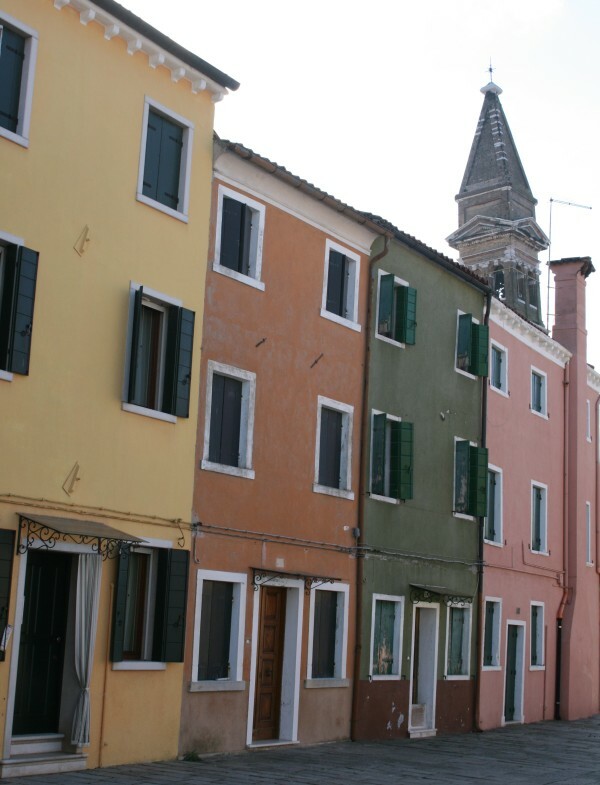 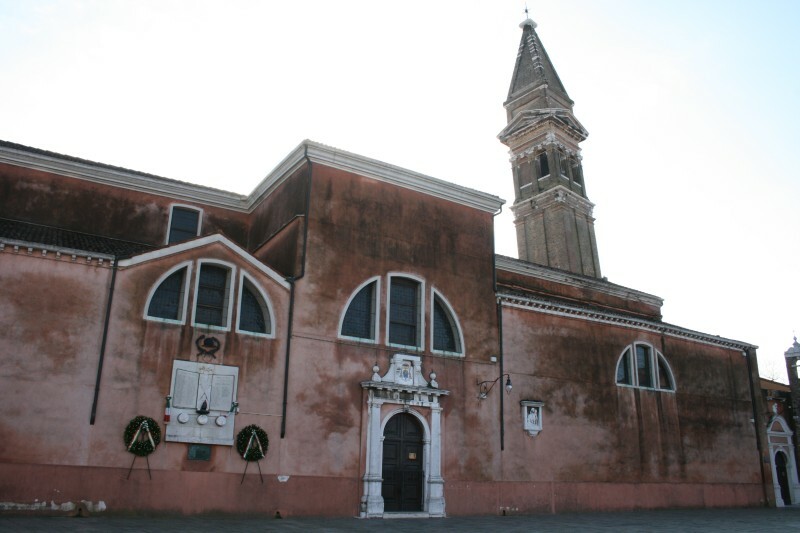 The campanile in Burano, like another more famous Italian tower, is leaning at a precarious angle. 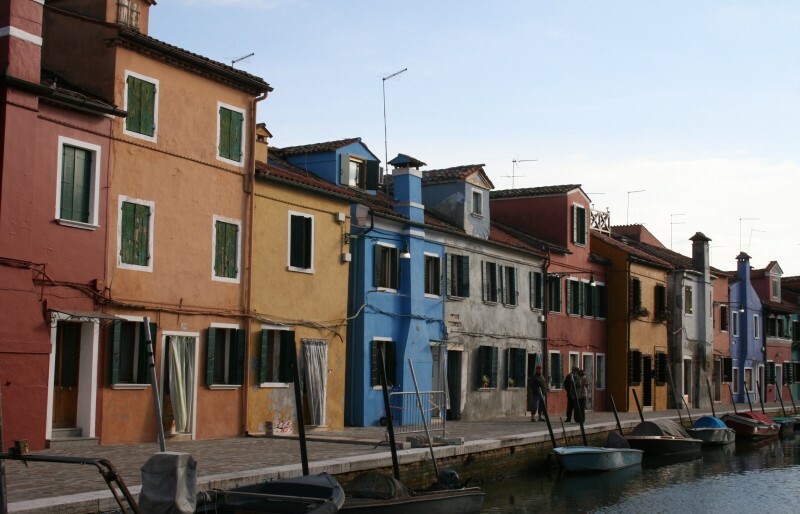 It's almost as if building a tall narrow tower that's expected to last for centuries on a swamp isn't a good idea. 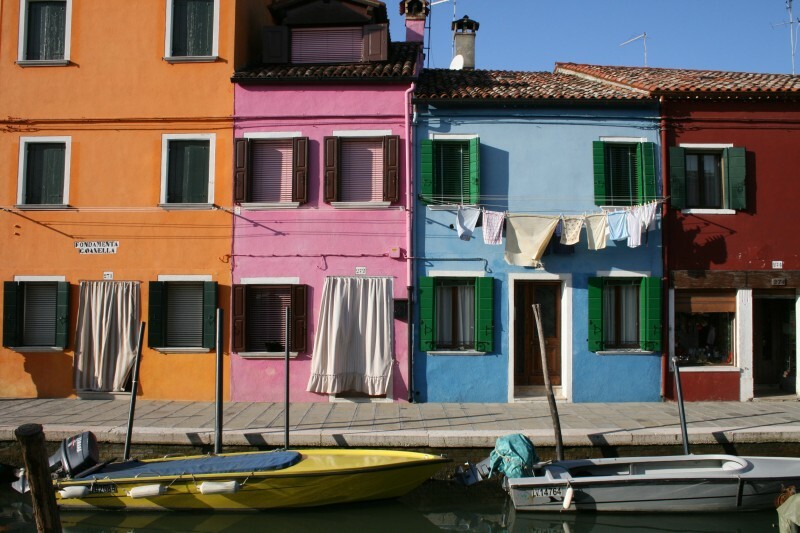 I like to think that when it leans too far to one side, one of the local builders wanders over and puts his shoulder against it. 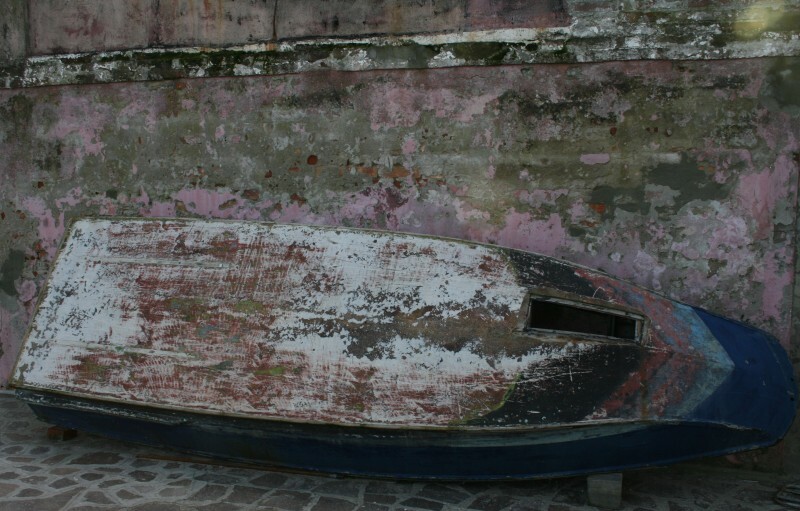 It moves with a sucking, squelching noise until it's leaning in the opposite direction. 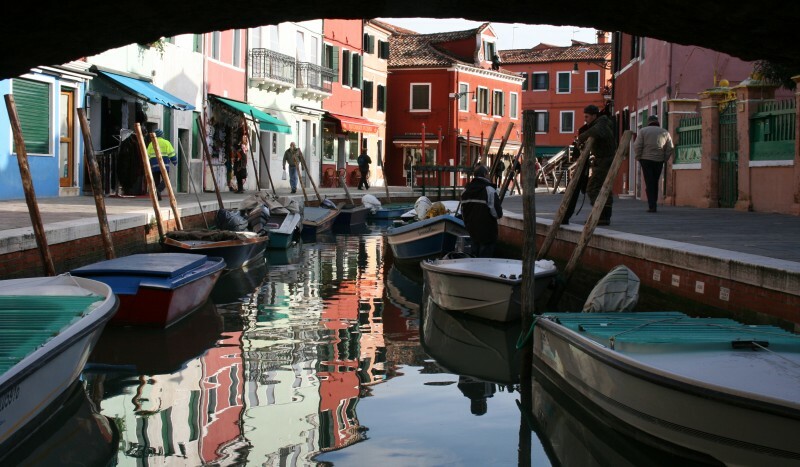 He dusts his hands and moseys home for a panini and a cigarette.